What is Belotero made of? Belotero, from Merz Aesthetics, is formulated with hyaluronic acid (HA)1, which is found naturally in your skin. It binds with the water in your skin, making it an excellent choice for reducing wrinkles and filling in deep lines and creases. Belotero is made into an injectable gel through a special proprietary process. This moisture-rich gel merges with your skin to seamlessly fill deep wrinkles and lines. How is Belotero different from other fillers? Belotero Balance instantly fills lines and creases upon injection, and its hyaluronic acid bonds with your skin, holding in water to smooth and plump up aging or damaged skin. The hyaluronic acid integrates with your skin tissues to retain complexion-renewing moisture for up to six months, sometimes longer. As soon as treatment ends, you'll see an improvement in vertical lip lines, lines around your lips, crow's feet and wrinkles. You'll see full results in two to three weeks. Results vary depending on the patient and the amount of Belotero used. One Beletero treatment usually lasts six months or more. Smiling, talking, laughing and similar activities cause product injected in the mouth or lips to wear off sooner. A Belotero injection in those areas may not last as long as one in forehead lines or a less active part of the face. Belotero is injected into the skin with a fine-gauge needle. The treatment lasts 10-20 minutes in most cases. You can sit or lie down during treatment in our office, and there's minimal discomfort. We can use a topical anesthetic during treatment if you're sensitive to injections. Are there any side effects to a Belotero lip injection or facial injection? FDA-approved Belotero has been proven safe after a clinical study. 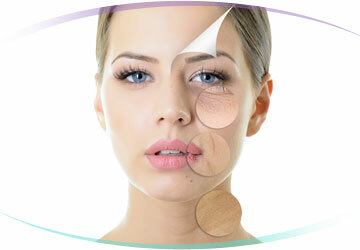 Products containing hyaluronic acid have been used successfully and without incident to treat wrinkles for decades. Minor side effects include redness, itching, bruising, tenderness or swelling and usually clear up within seven days. If your side effects continue longer than a week, let us know immediately. What does an injection of Belotero cost? The price of Belotero varies according to the area(s) and amount needed for treatment. Some patients with severe wrinkles or creases need more Belotero than others, and this increases the cost. We'll discuss Belotero cost with you during your consultation. What should I do pre and post-treatment? Let us know if you're taking aspirin, Wafarin or any medication that interferes with blood-clotting. These medications may cause bleeding or bruising at the injection site. If you have a cold sore or another skin reaction, Belotero treatment should be delayed until it heals. For 24 hours post-treatment, avoid alcohol, extreme sun or heat exposure and strenuous activity. Don't take non-steroidal anti-inflammatory drugs or aspirin. All of these things may lead to extreme redness, itching or swelling at the treatment site. Is there any downtime after a Belotero injection? There's little to no downtime after a Belotero treatment. Most patients can resume normal daily activity immediately. When should I see you for a maintenance Belotero treatment? Give us a call when you notice your lines and wrinkles return, usually around six months, though some patients may experience positive results for much longer.